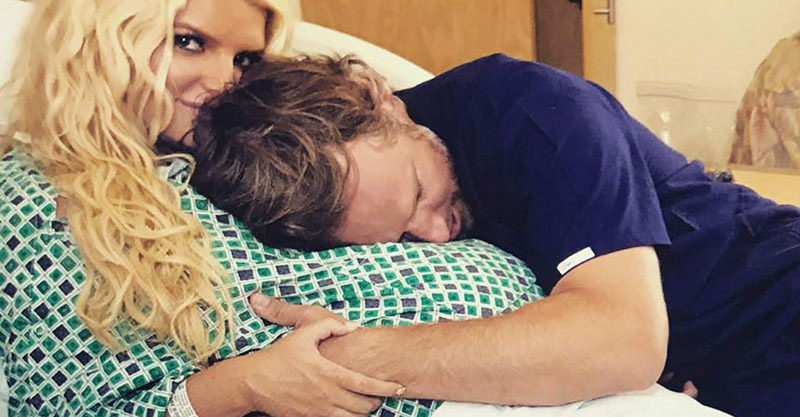 Jessica Simpson is due to deliver her baby any second now, and has got mums nodding in recognition with her latest Instagram update. Taking to the platform earlier today, a bikini-clad Jess shared a photo of her very shiny belly reassuring fans that a) she was still pregnant and b) there was absolutely no reason to forgo glamour even at full-term. That said she’s not looking entirely pleased with her current situation. And who can blame her? Jess has been plagued with bronchitis, uncomfortable swelling, insomnia and more as she’s pushed through this final trimester. Keen observers have been checking in on her daily in the hopes that she’s feeling a little more comfortable and might even have safely delivered her baby girl. “Lord have mercy! I feel so bad for U!” one wrote on Jess’s oiled-up and glowed-up shot. “This is me rn. I feel you boo. #overit” another posted. “Oh honey … hang in … almost there,” someone else soothed. “Jesus lord! That’s one seriously pregnant momma!” a helpful fan pointed out. Jessica and Eric Johnson are mum and dad to five-year-old Ace and six-year-old Maxwell. Jess revealed they’d be growing their brood by announcing this pregnancy back in September. She had previously categorically denied that a third baby was on the cards. “I’m not pregnant,” Jess told Ellen DeGeneres during a controversial appearance on The Ellen Show. Something changed in the twelve months that followed (as things often do!) and Jess was indeed very soon expecting her third. She then let slip that her little girl would be named Birdie following her baby shower in January. Since then she’s swerved from challenge to challenge, sharing all the highs and lows with Instagram followers and often asking for advice. We wish Jess all the very best for a healthy and happy deliver of baby number three.